Misplaced your Y-cable or just want an extra one? We've got you covered. 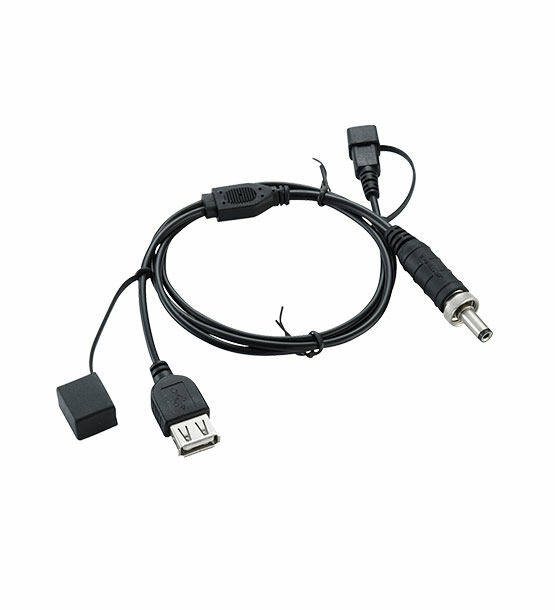 This cable provides two connection options for charging one or two mobile USB devices. To charge your electronic gadgets, you can choose between a charging cable with micro-USB plug and a cable with USB coupling plug. Both connectors are protected with a protective cap against rain, dust, snow or moisture. Almost all smartphones and tablets – as well as most MP3 players, helmet cameras, GPS devices and e-book readers – are equipped with a micro-USB port and can be charged with this plug. This coupling plug can be used to supply power to all mobile devices that can be charged via USB – such as devices with a mini or micro USB connection as well as all mobile devices from Apple*. You can also connect the bike lamps ØM3/u + ØM2/u to the USB port, allowing you to charge a gadget and power a high-power headlight at the same time. 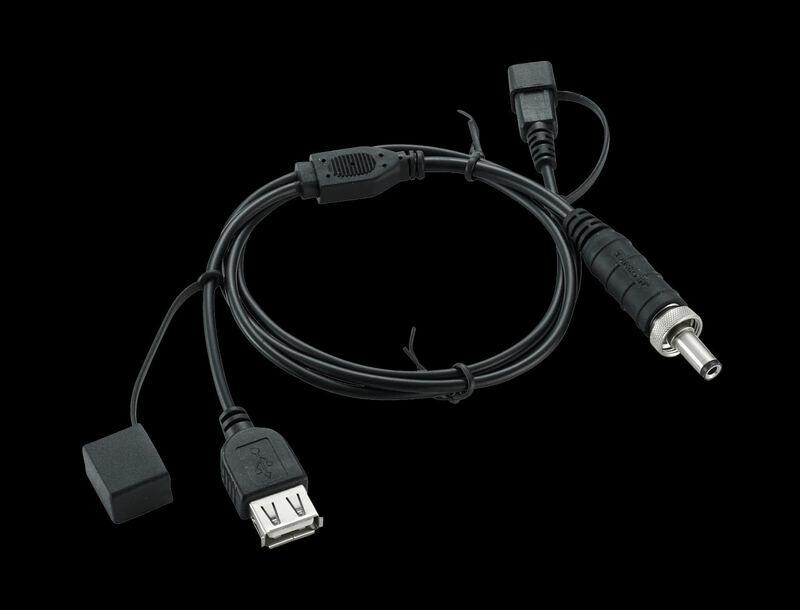 * In the accessories you will find a direct cable with Lightning plug. We can manufacture a 30-PIN cable for you on request. Please note that a connection via the USB connector does not provide a continuous waterproof connection to your end device. We therefore recommend that you do not use this connection in very adverse weather conditions. Gesamtlänge : 75cm / 29.52 inch.